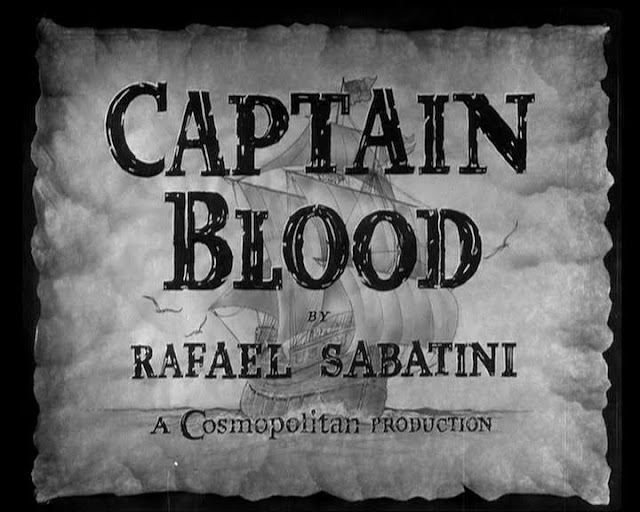 Captain Blood really re-invigorated the swashbuckler genre. 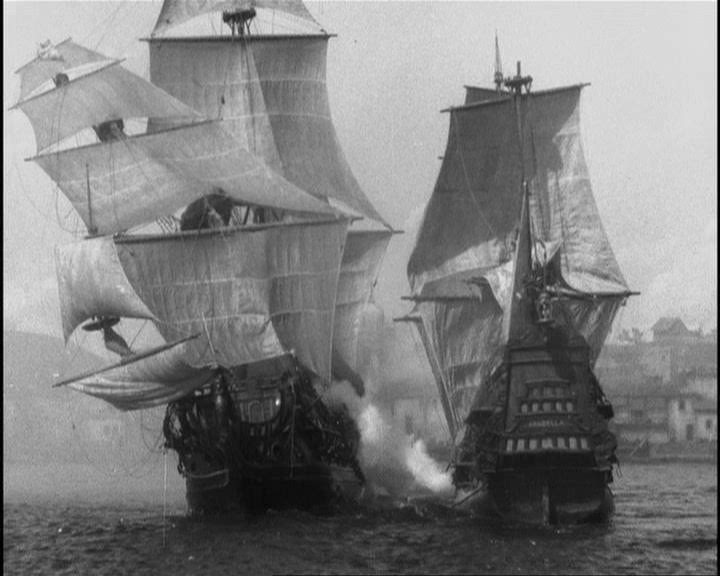 The previous era of swashbucklers had been made in the 1920's when full size ships were more the style than the use of miniatures. 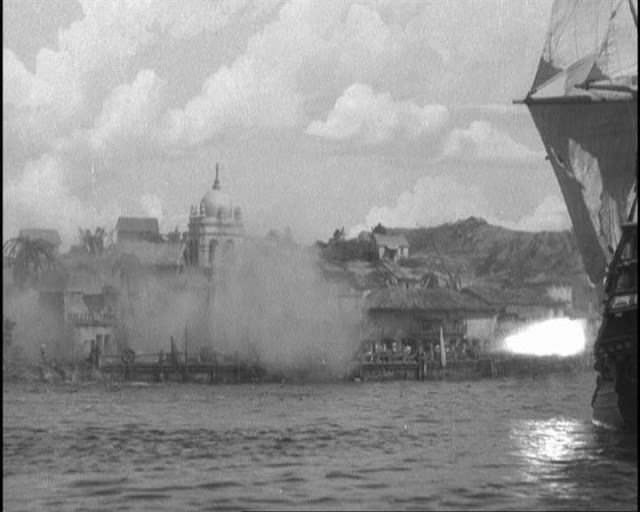 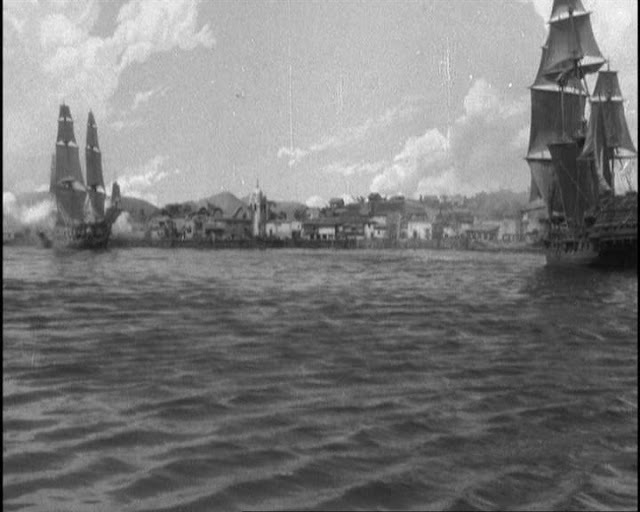 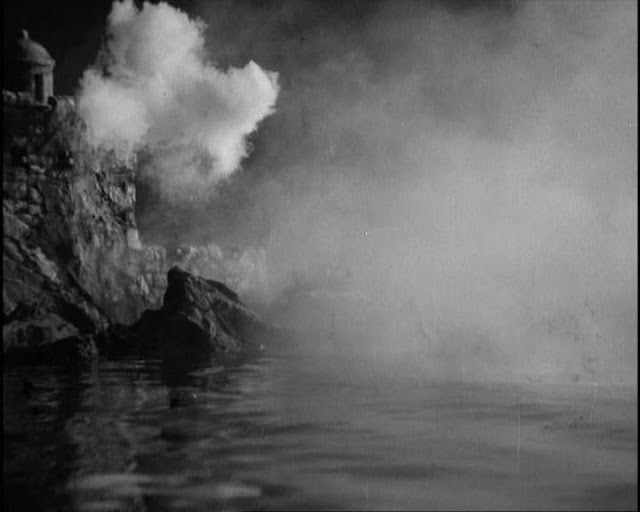 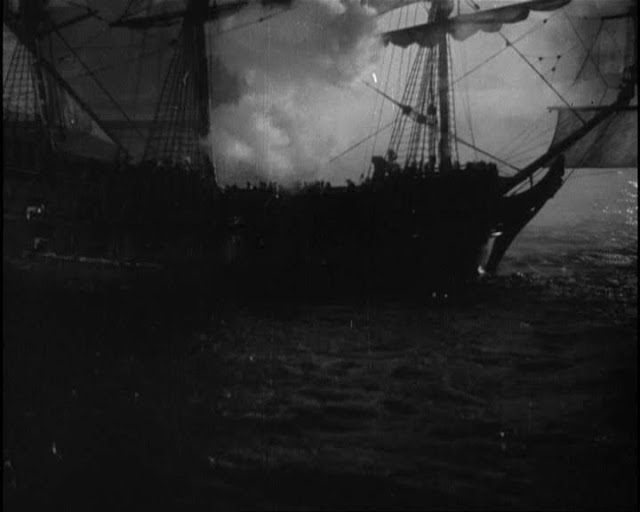 In fact this film borrowed some footage from the silent movie Sea Hawk made in 1924. 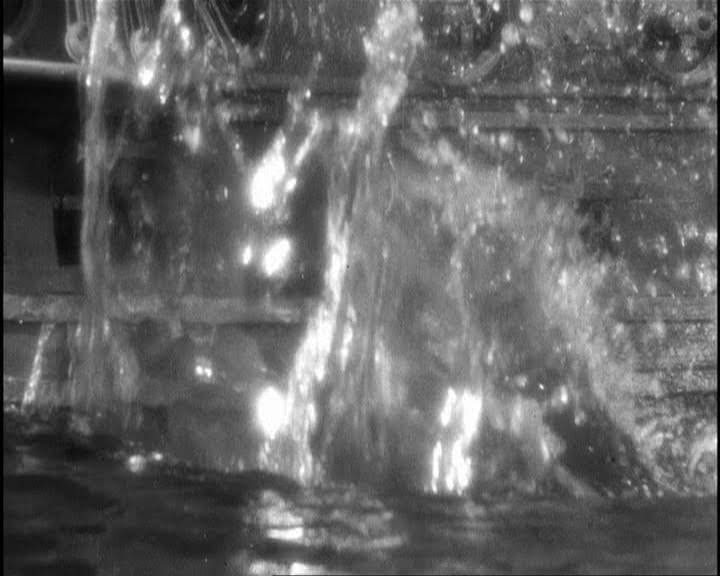 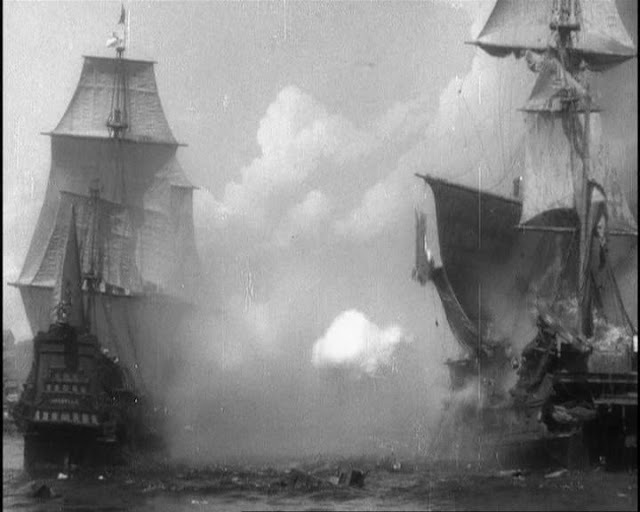 The miniature work is energetic with impressive scenes of splintering hulls and spars, setting the bar for the classic pirate films to follow. 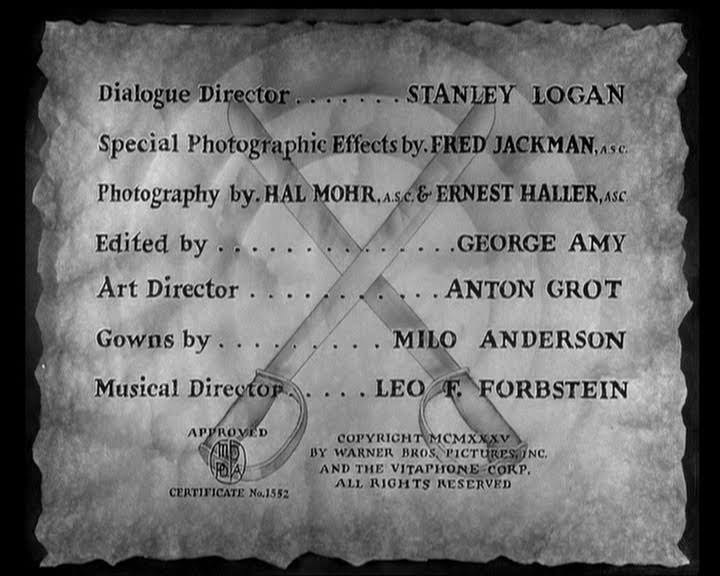 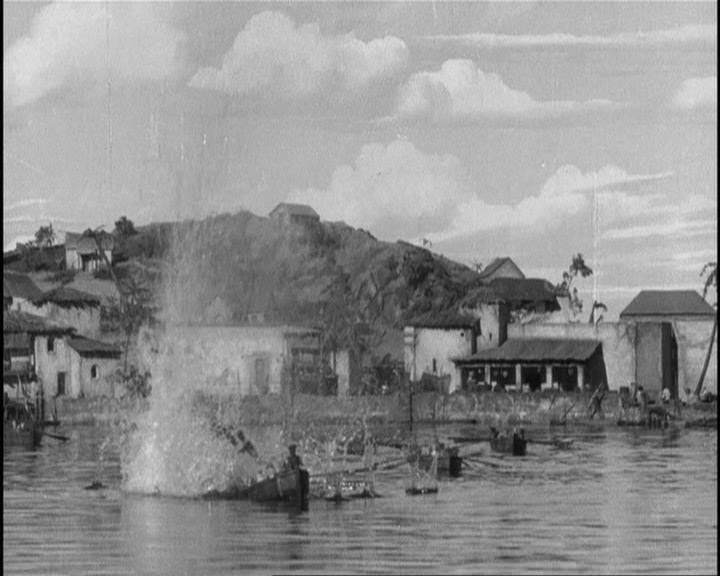 Fred Jackman was the special effects supervisor. 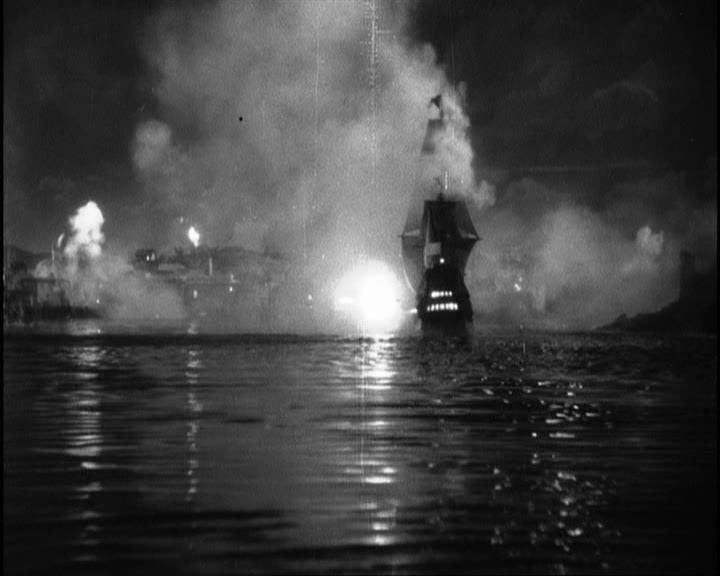 He was the head of Warner Brothers special effects department but left around this time to start his own independent special effects company. 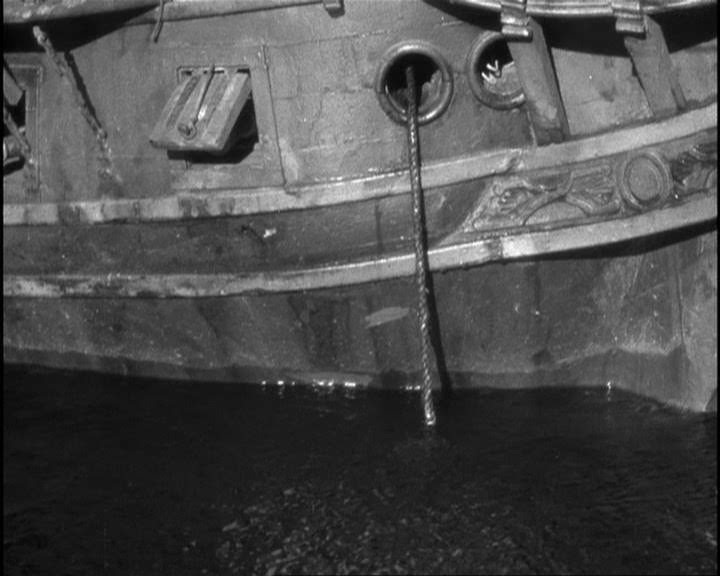 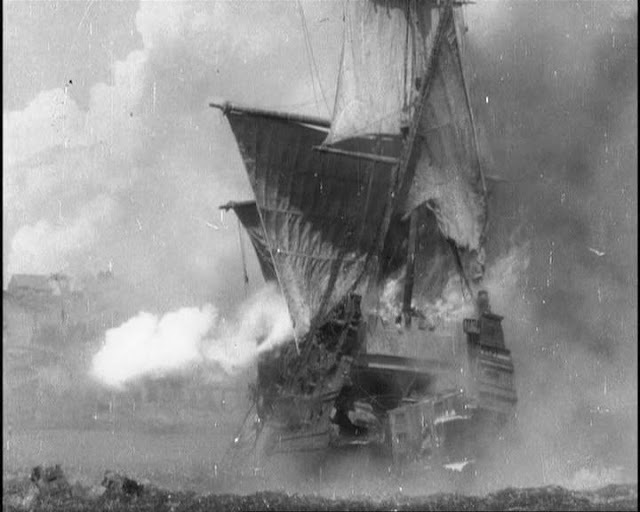 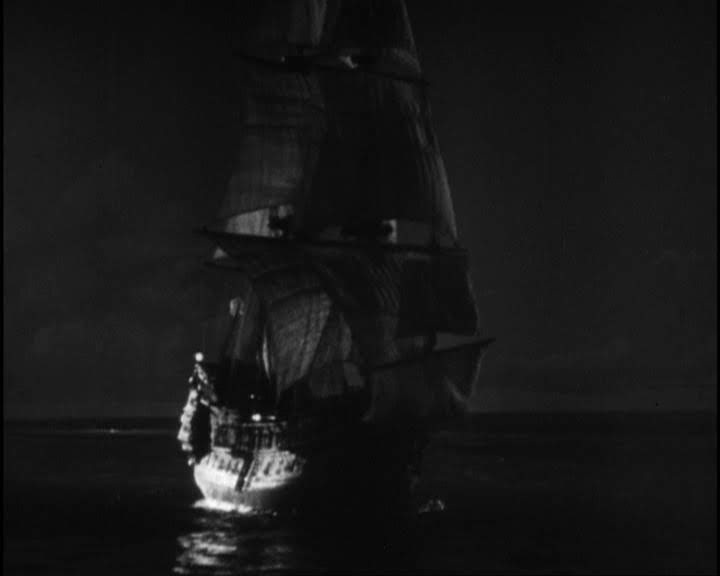 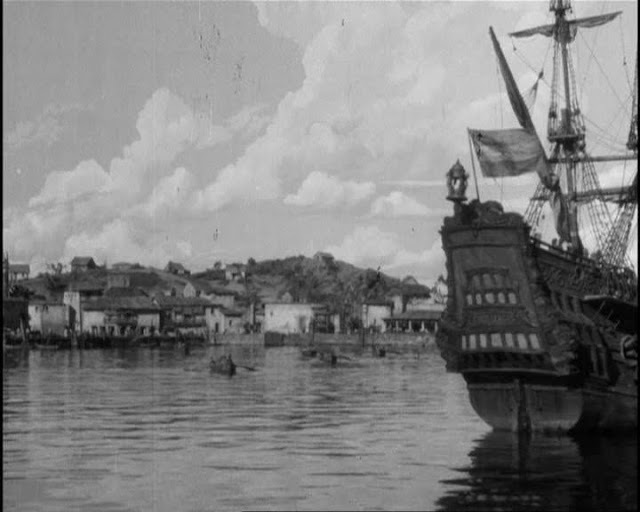 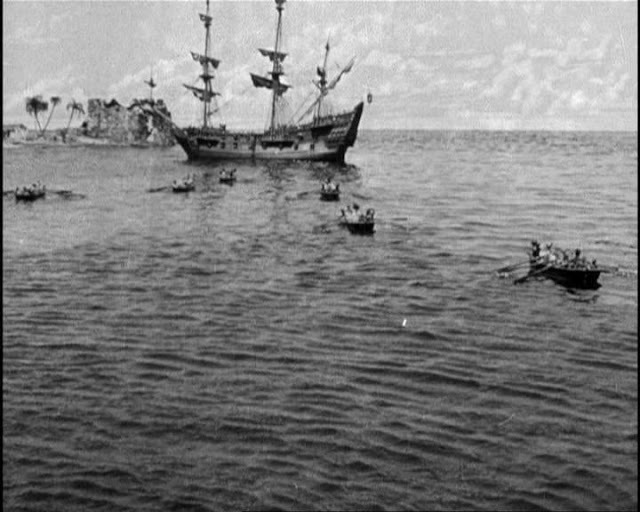 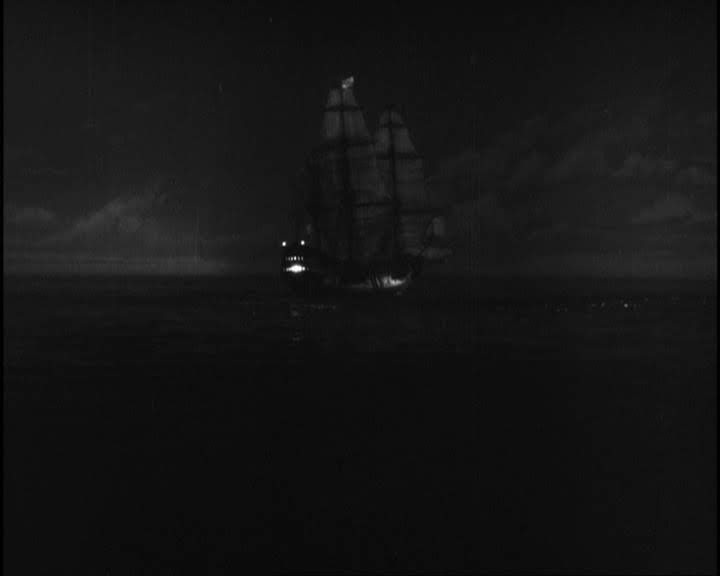 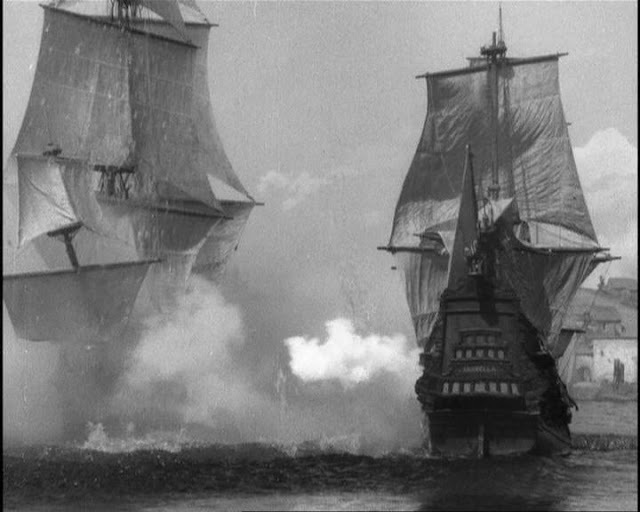 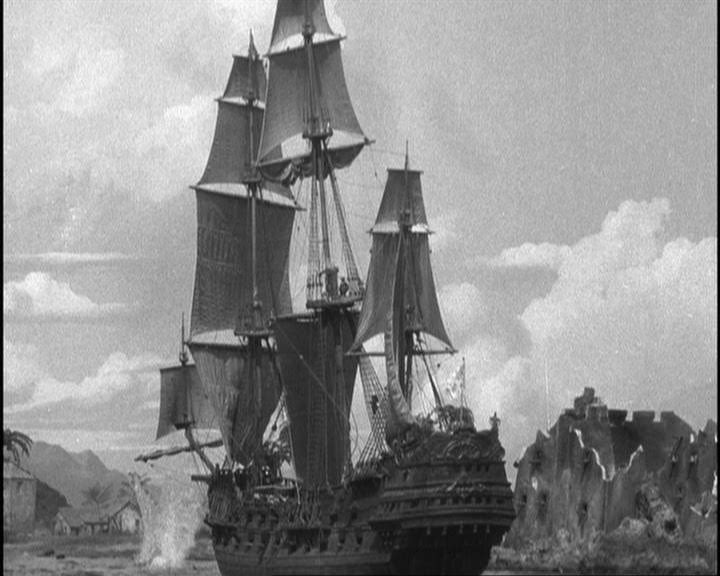 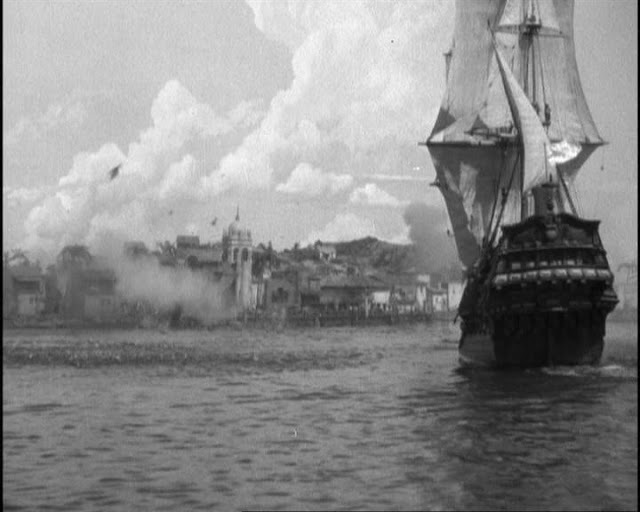 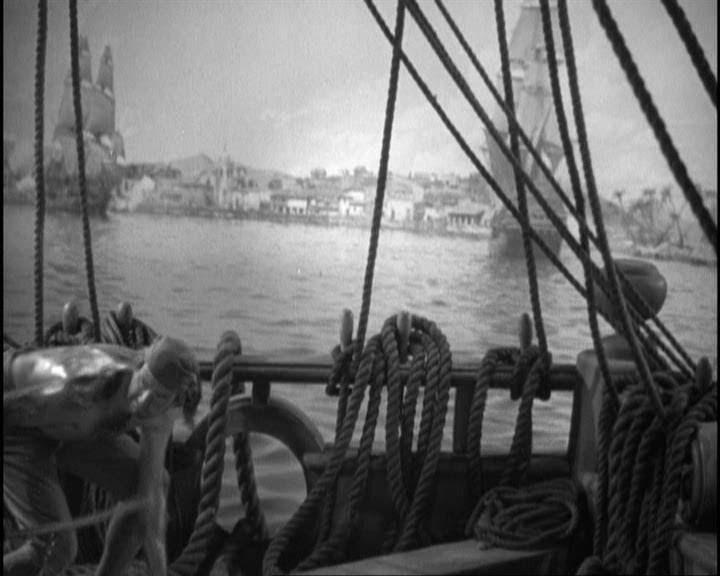 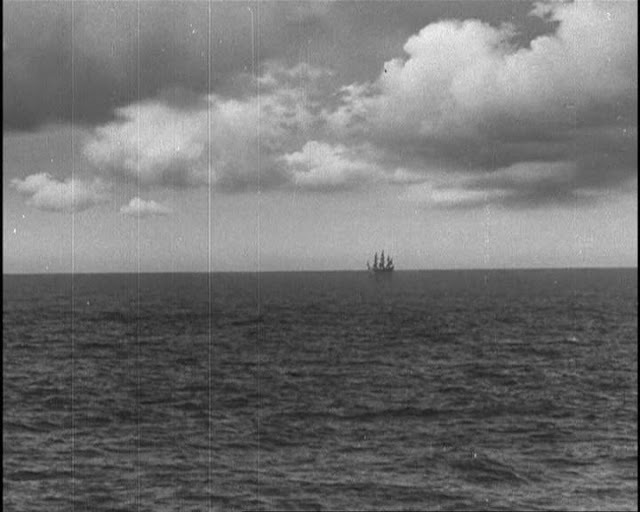 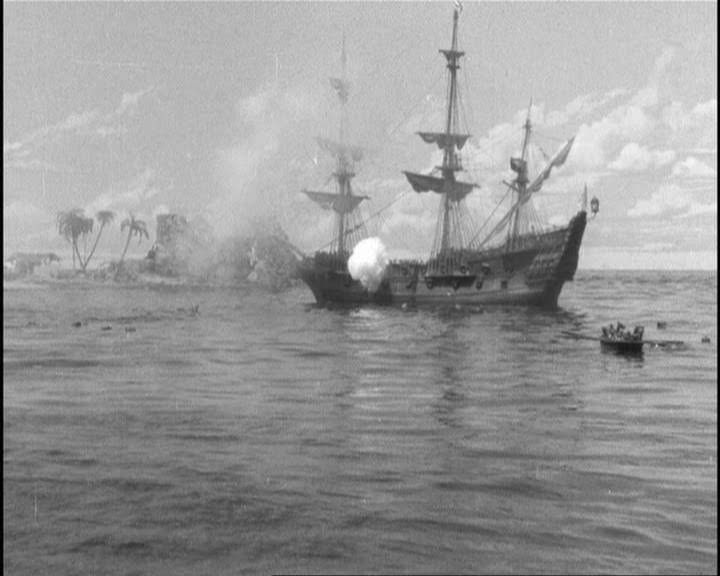 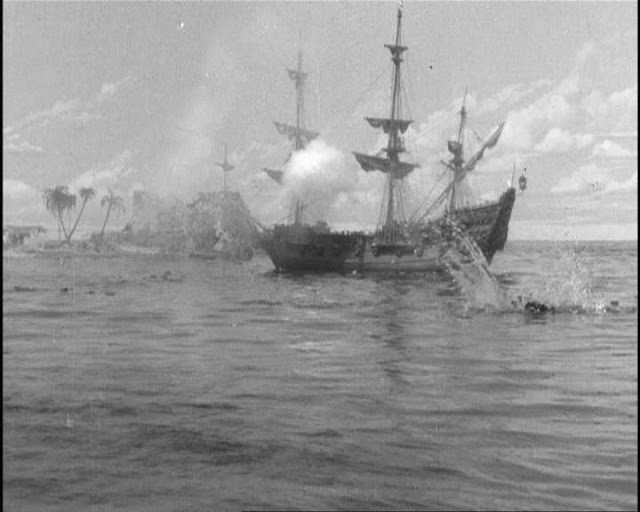 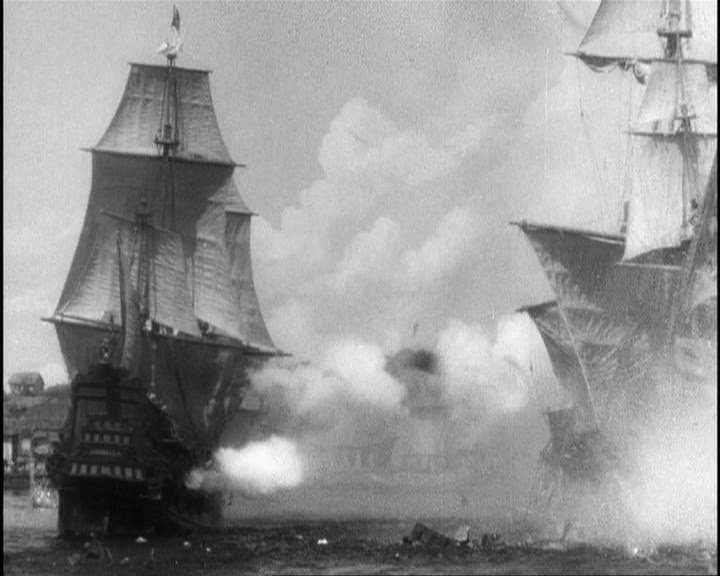 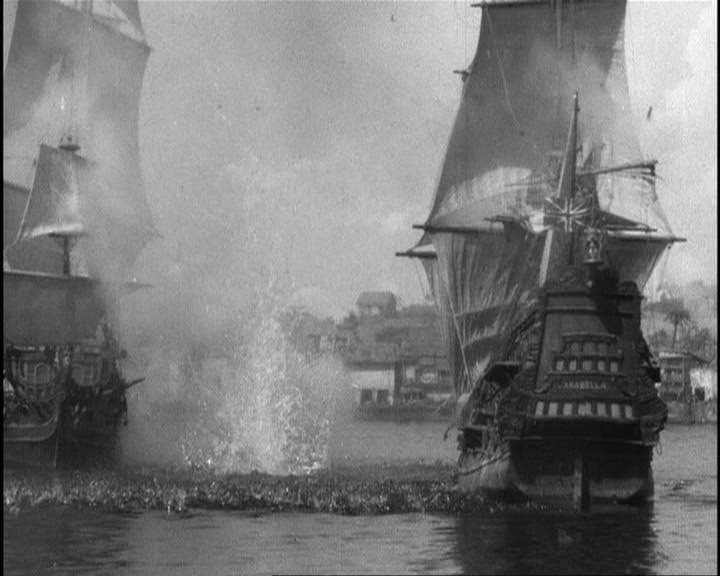 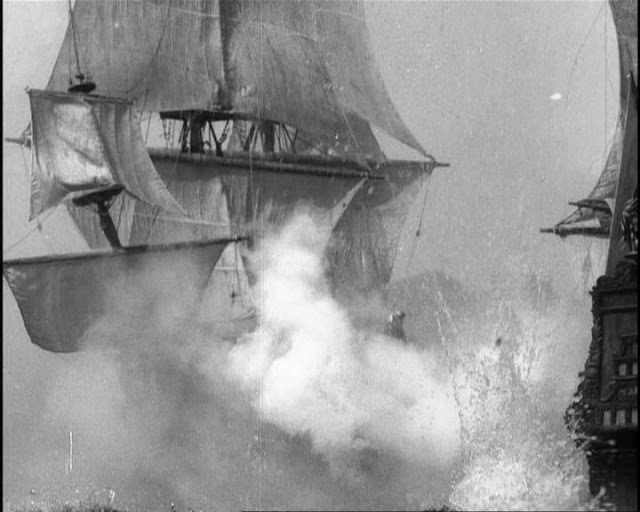 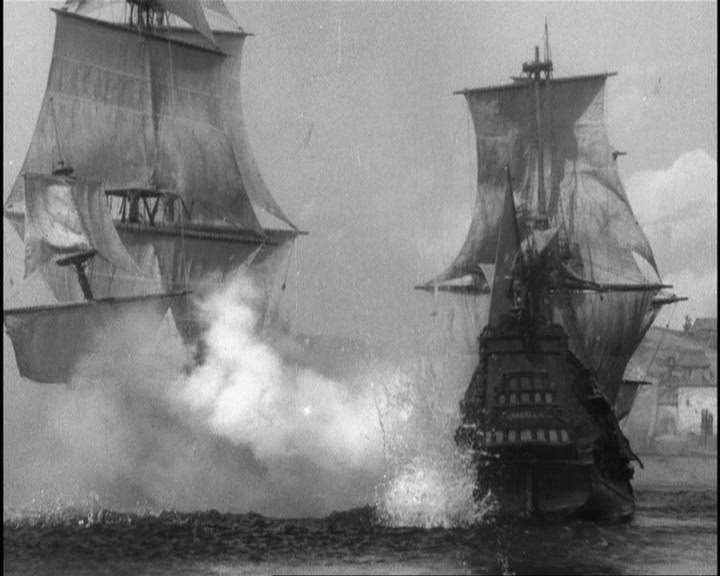 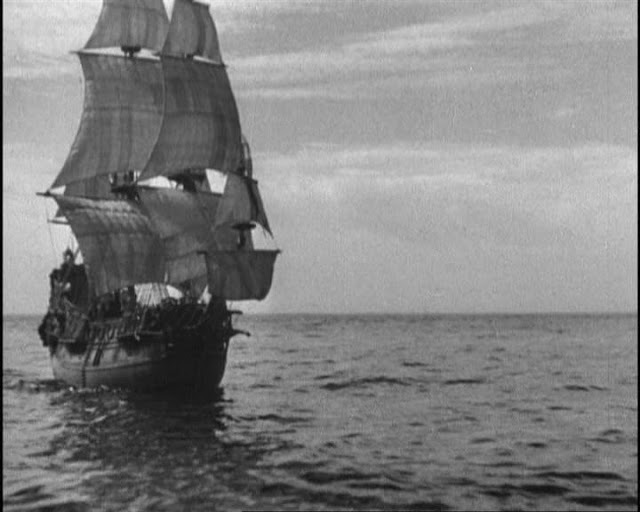 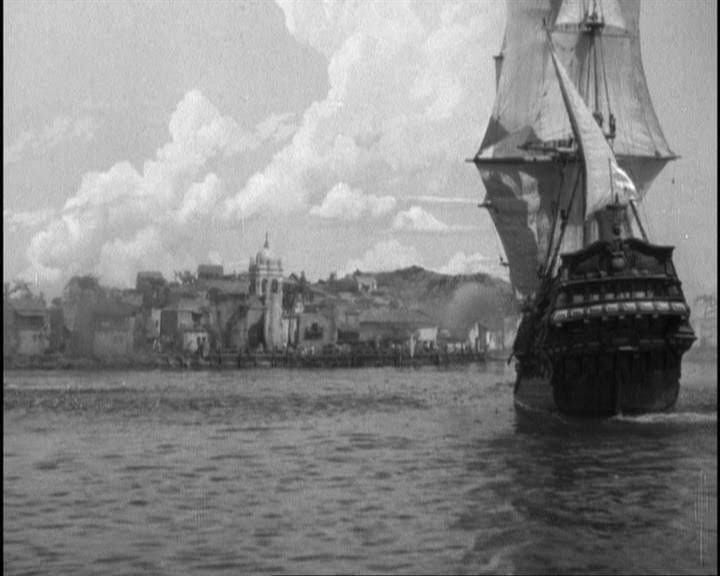 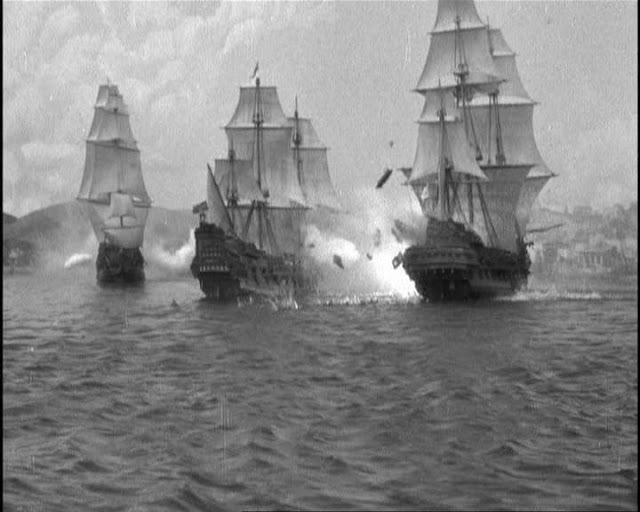 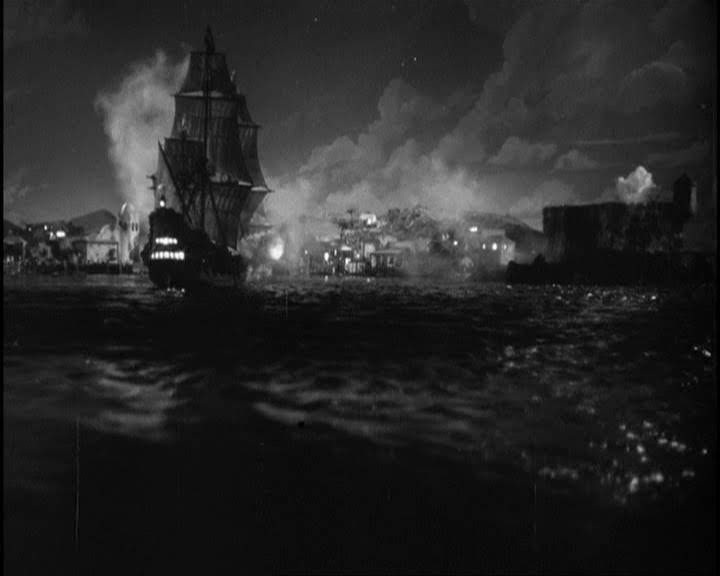 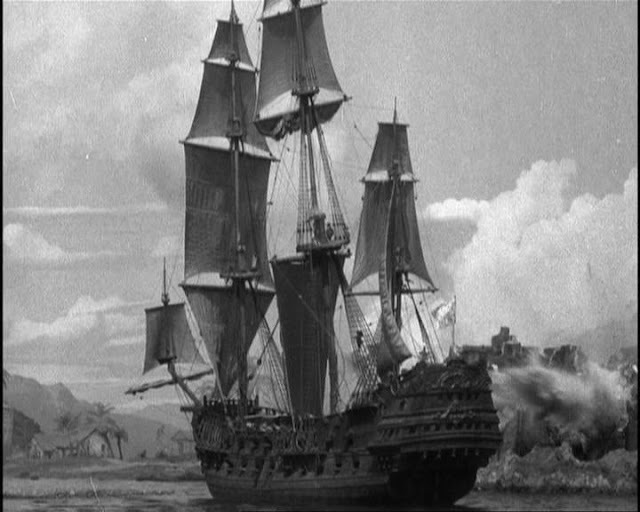 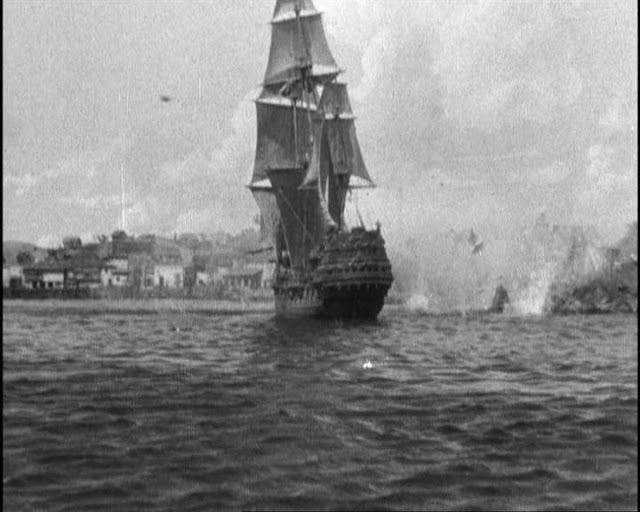 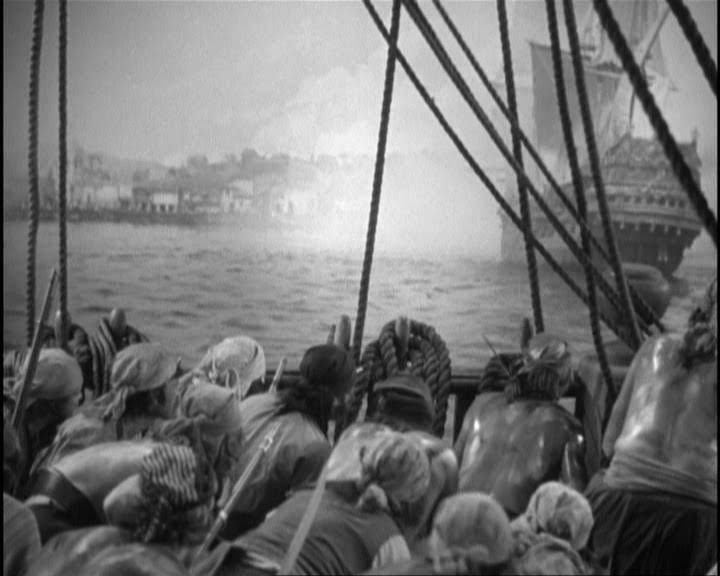 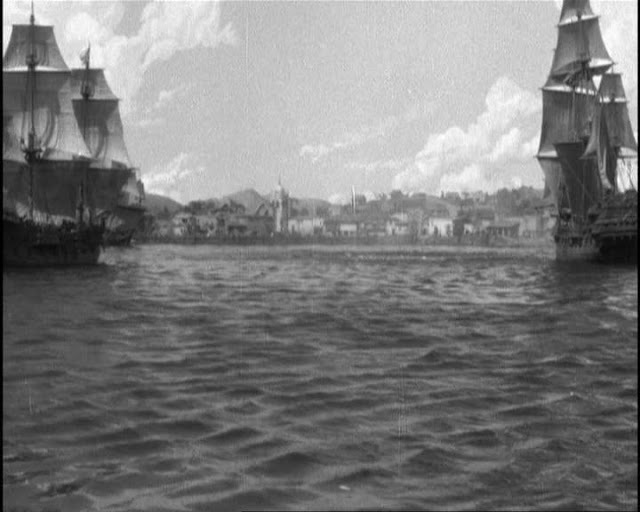 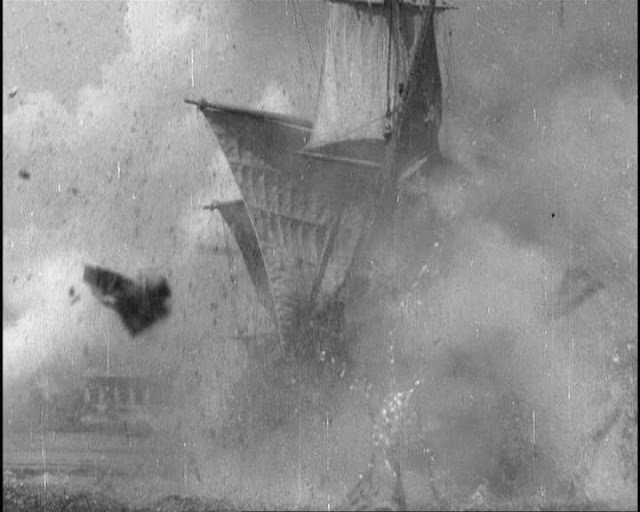 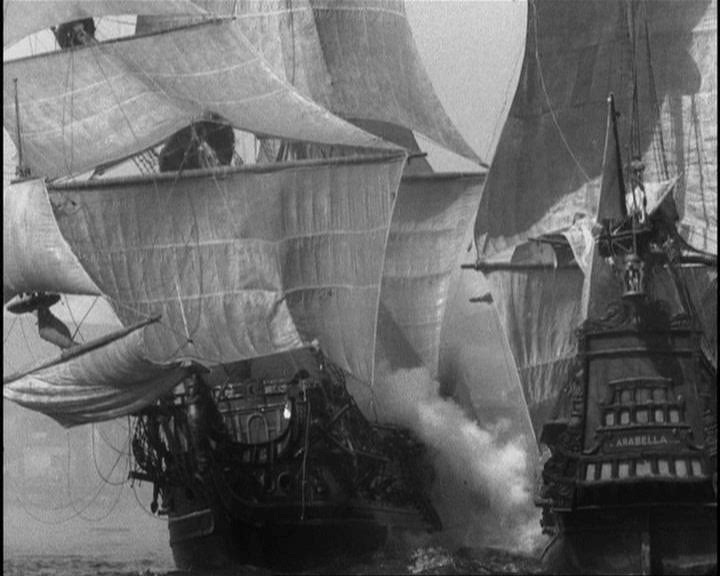 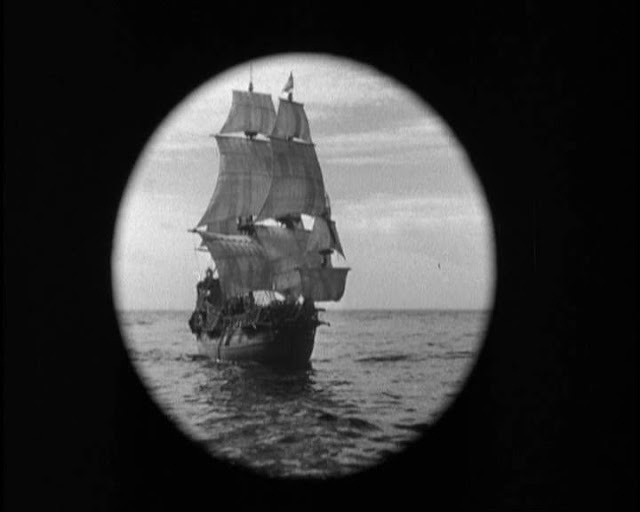 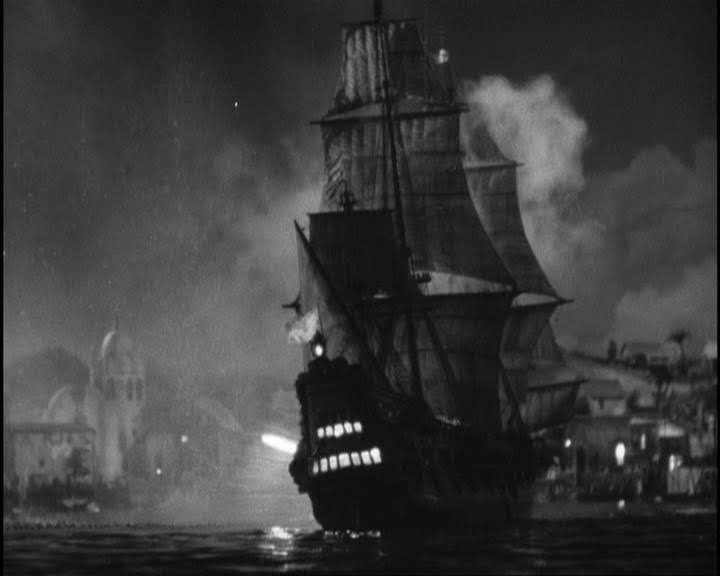 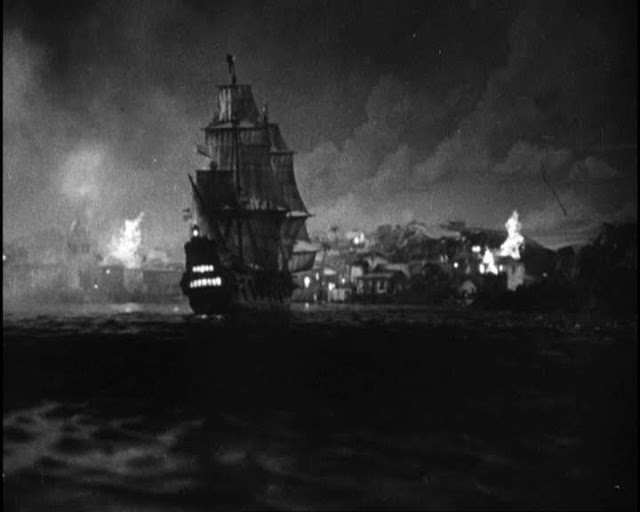 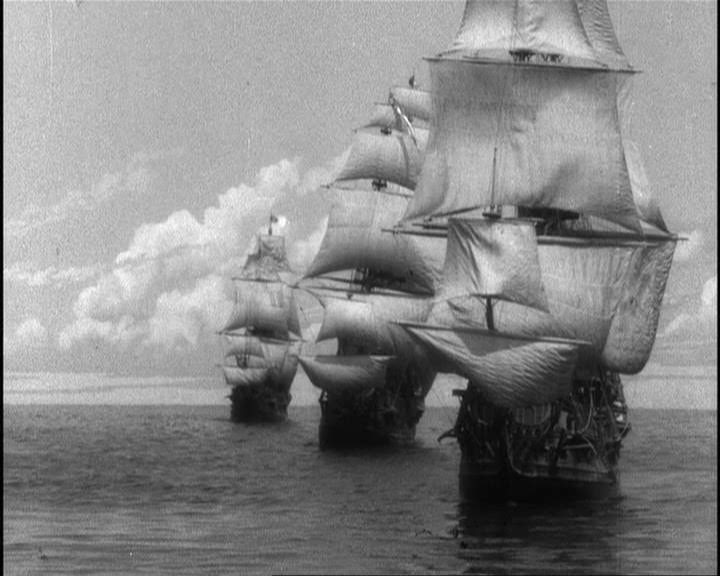 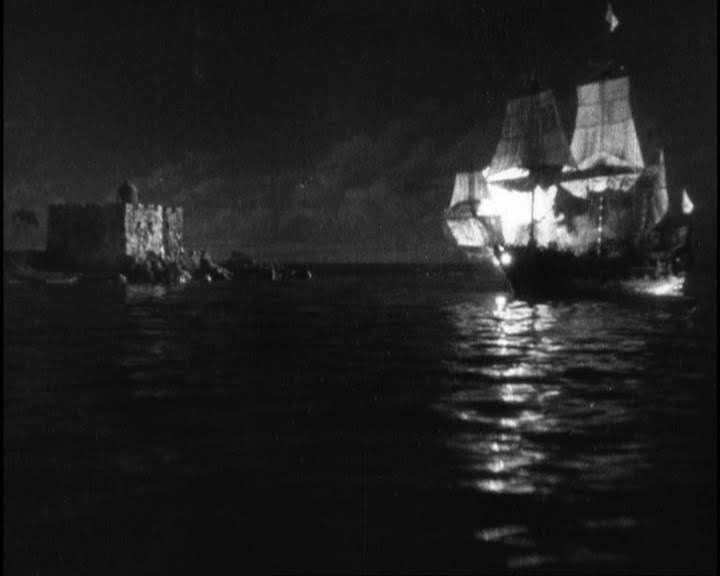 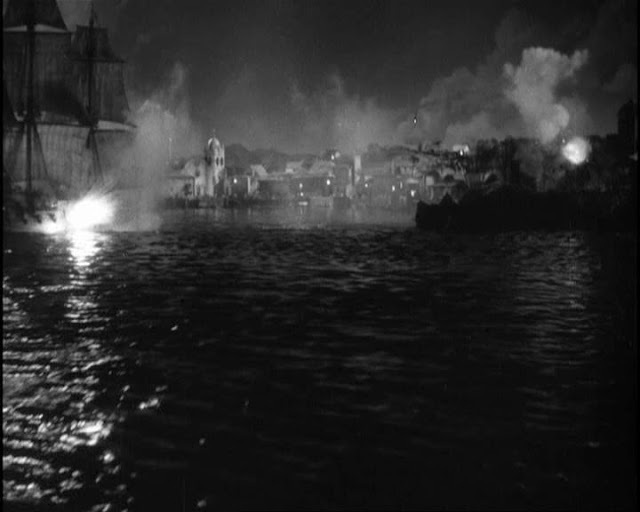 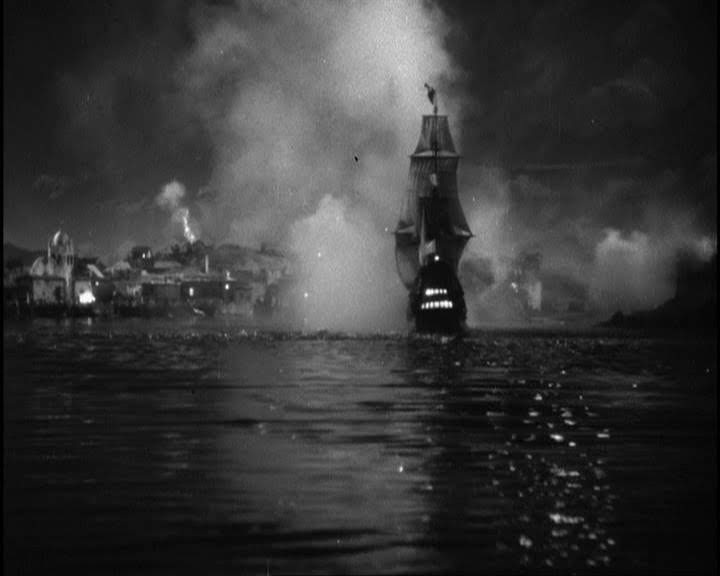 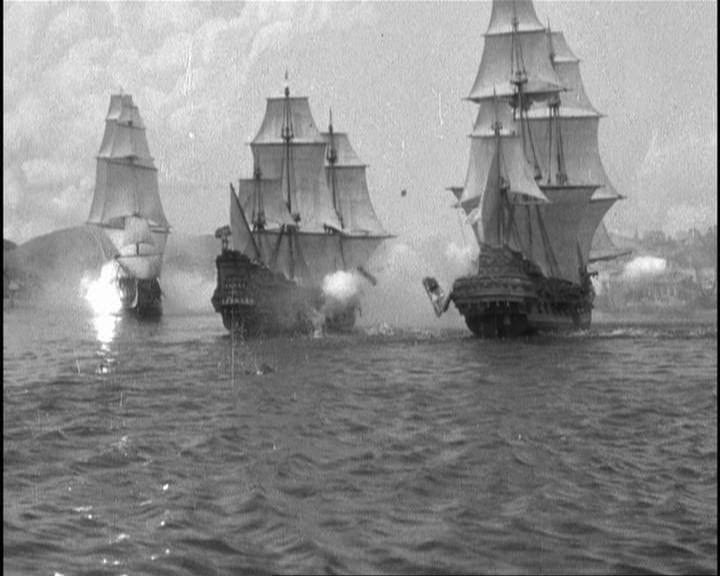 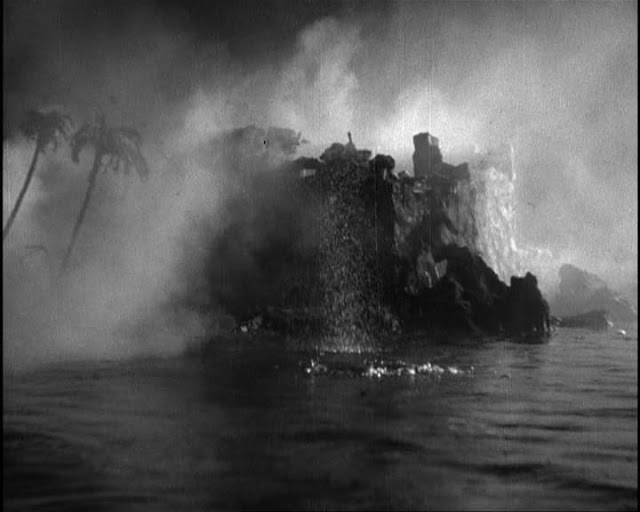 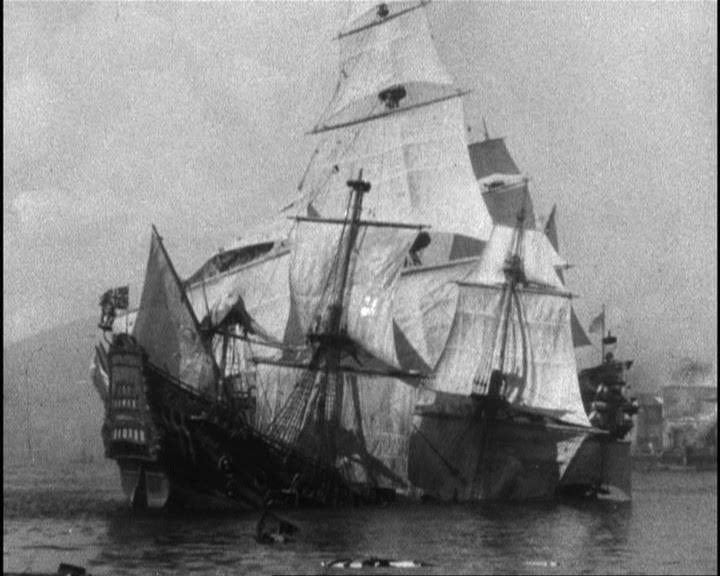 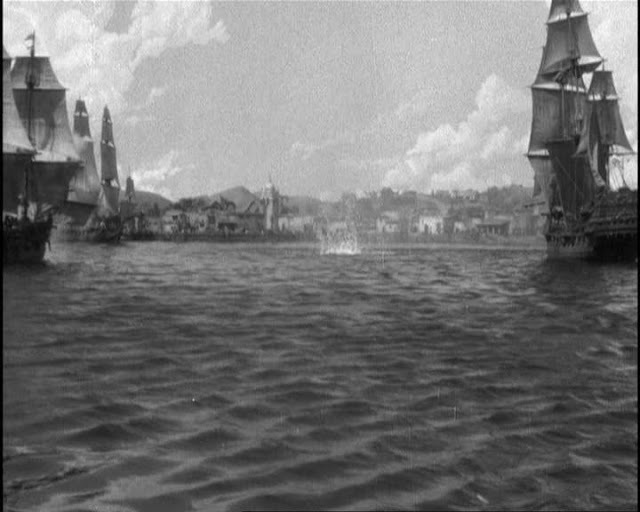 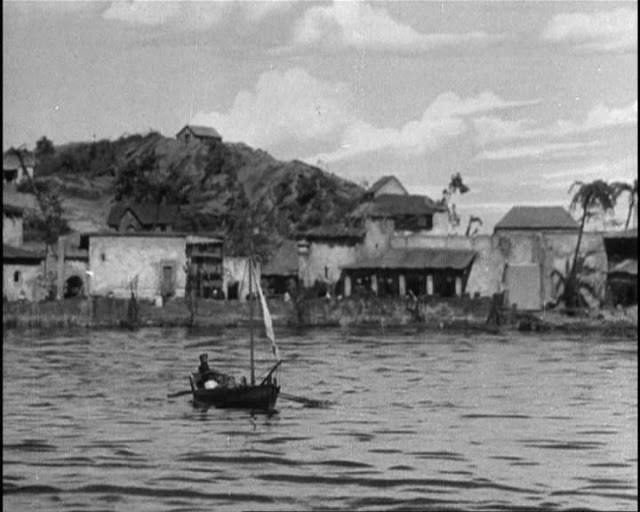 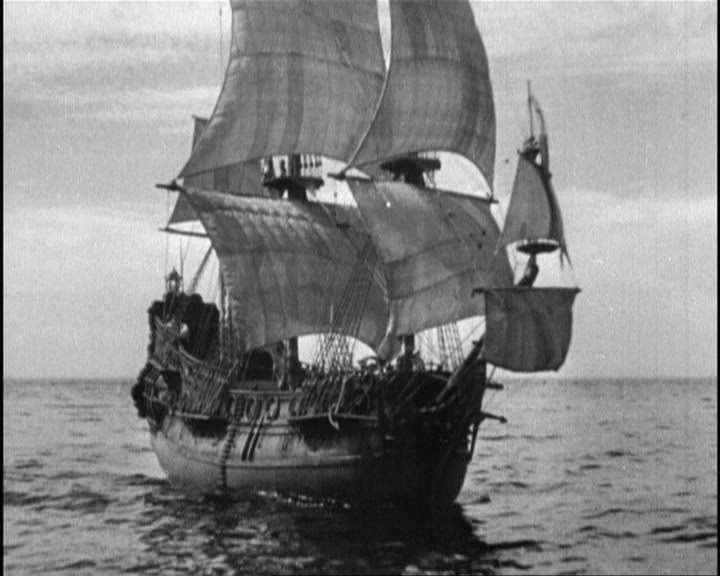 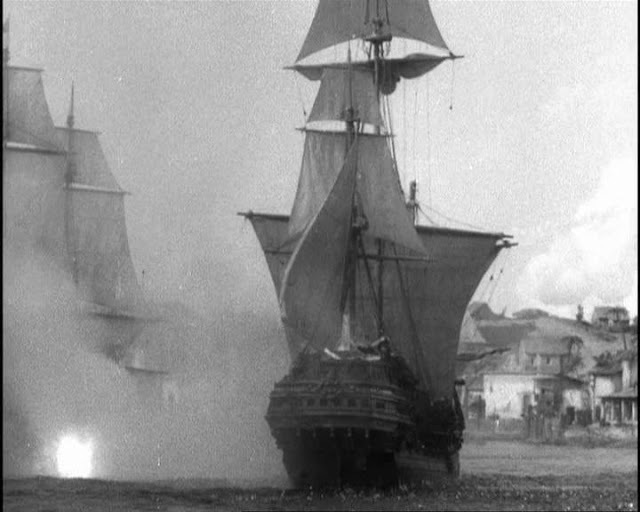 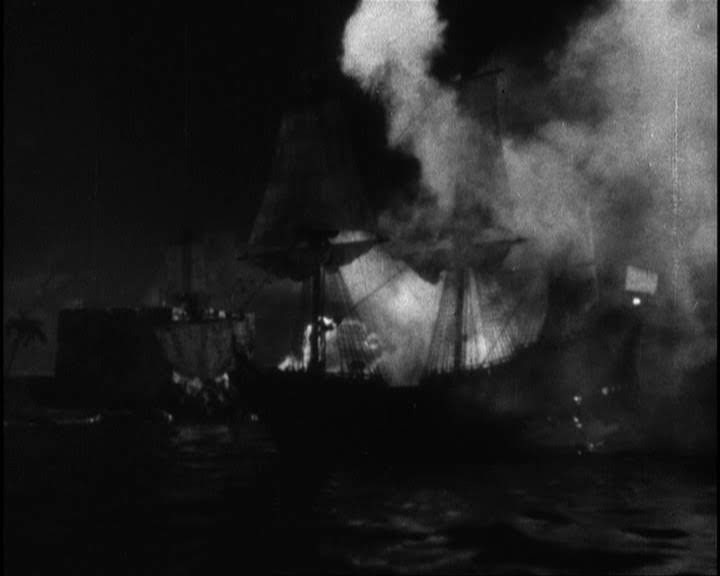 One of the common misrepresentations is that ship footage from THE SEA HAWK (1924) was used in CAPTAIN BLOOD (1935) and THE SEA HAWK (1940). This is patentably NOT SO! 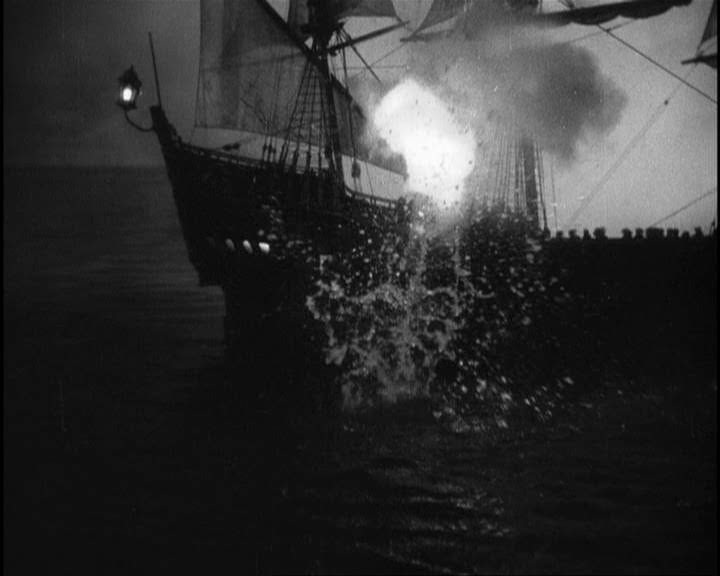 THE SEA HAWK (1924) was recently shown on TCM on Sunday 07/15/2018 at 11:00pm/2300hrs C.S.T. The Ships clearly bear NO resemblance too the sound follow ups. 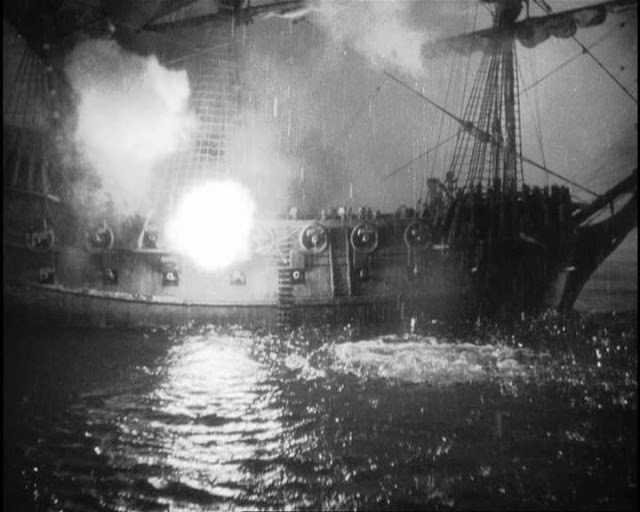 What was used were clips from THE DIVINE LADY (1929) a story about Nelson and Lady Hamilton. 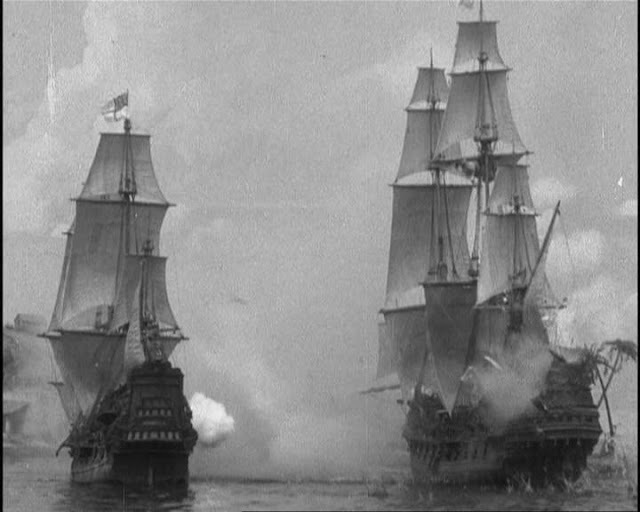 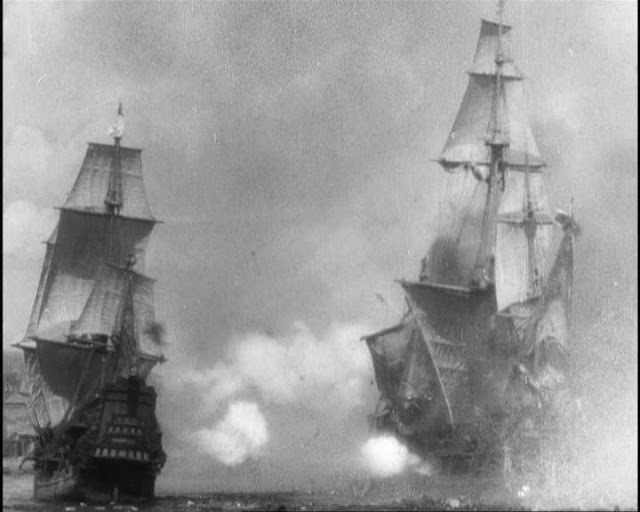 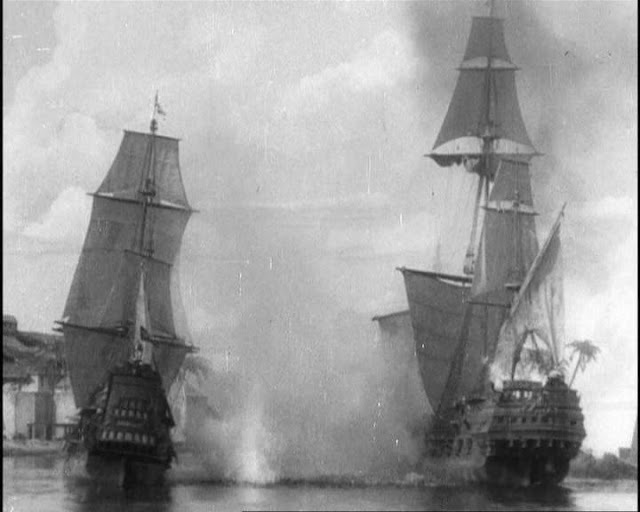 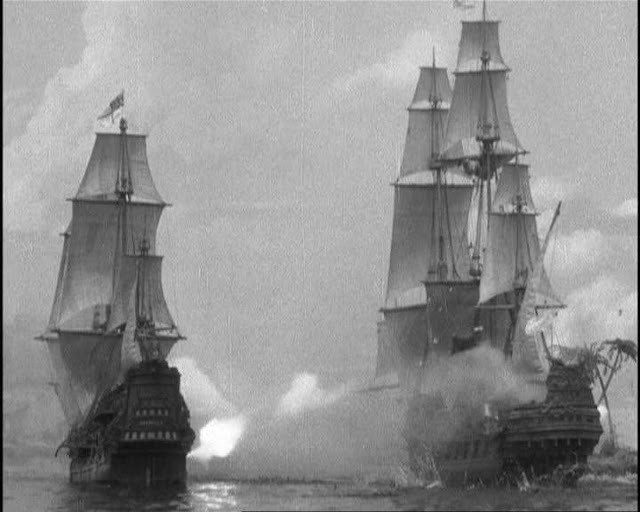 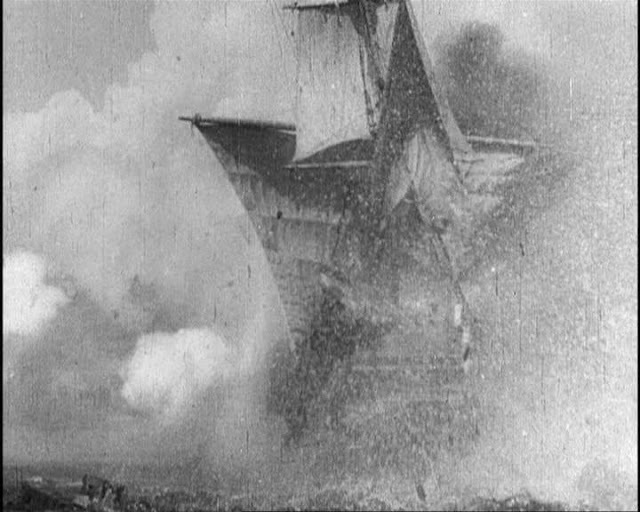 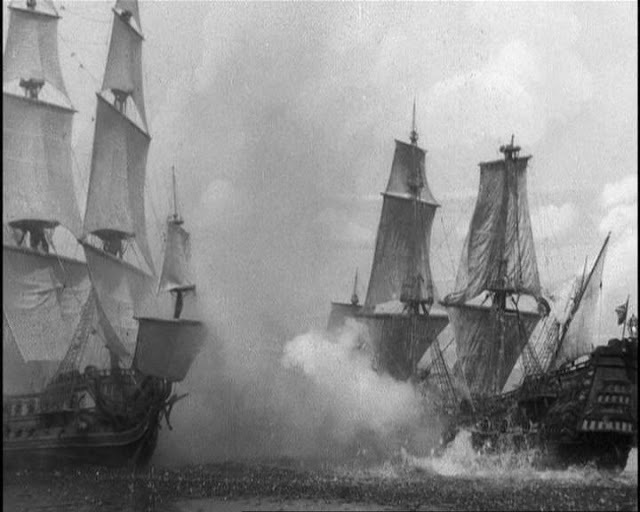 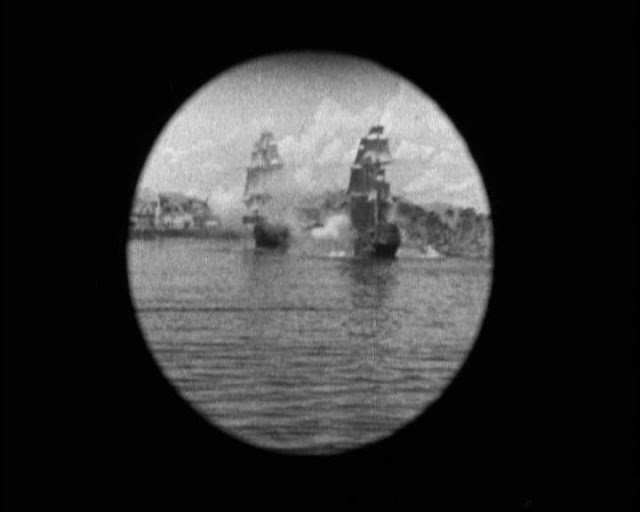 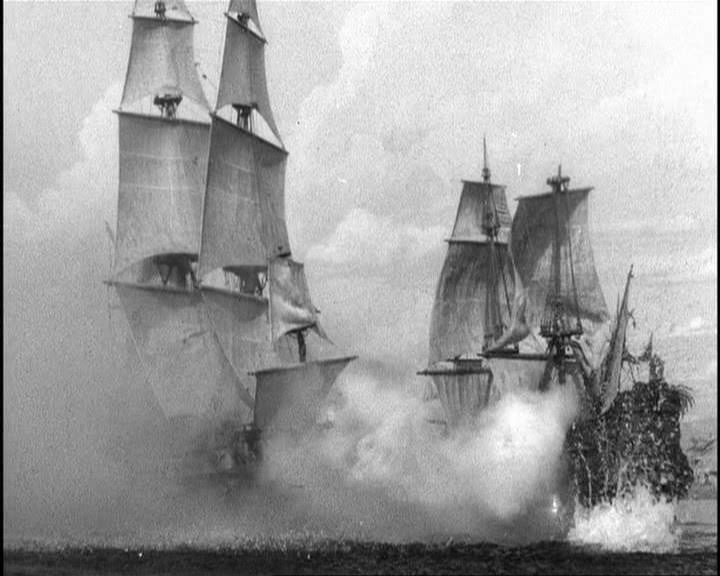 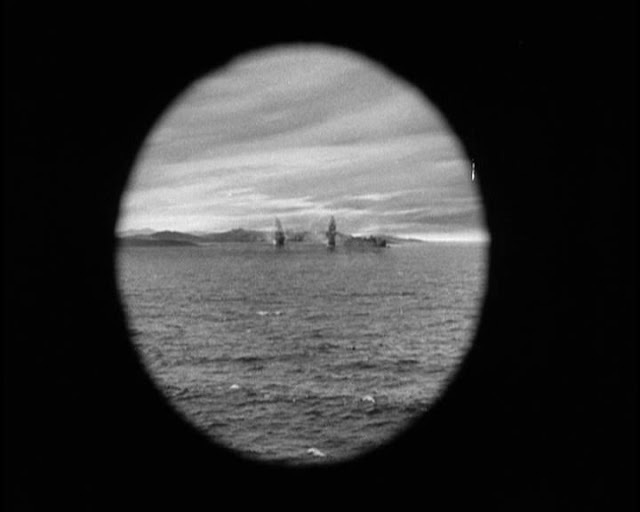 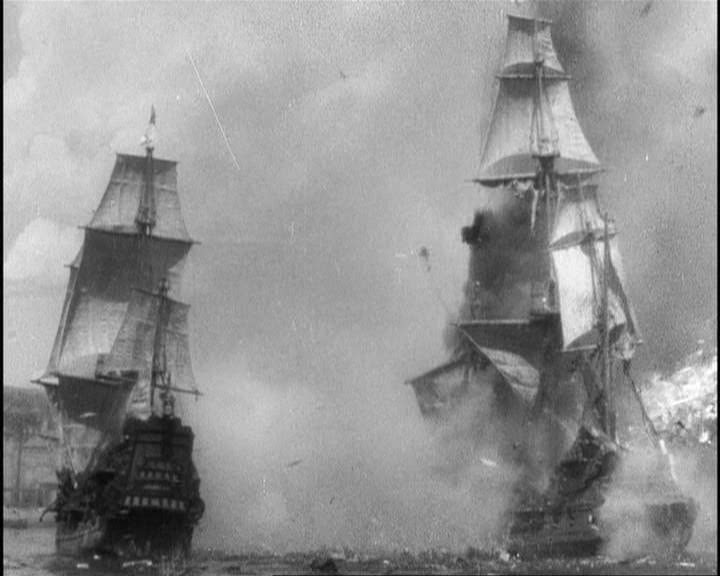 There is the possibility that footage also came from CAPTAIN BLOOD (1924) and a British film on Napoleonic Naval engagements. 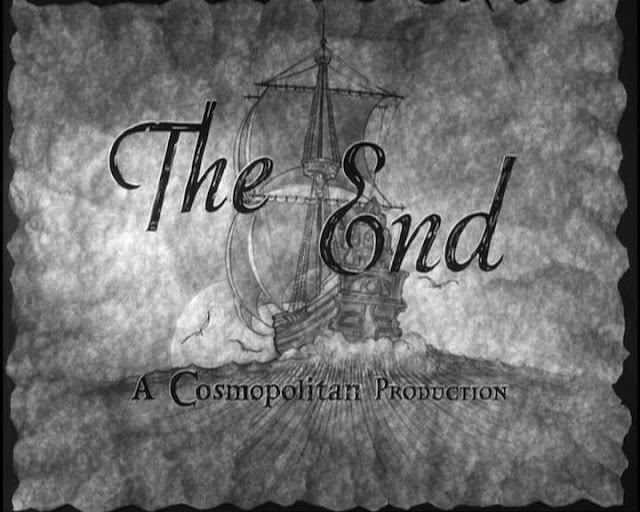 The last is not firm.